Enclosed Case Remote Control and an upgraded Microsoft Surface Pro tablet. Record video footage and take snapshots. Custom PTZ Camera System (360° pan & -10° to +90° tilt) with a 30X Optical Zoom 1/4 inch Sony Color CCD. Two spring mounted cameras. One in the front and one in the rear. Remote controlled LED lights on robot base and on the camera tilt housing. Encoder Option This option allows you to keep track of the distance the robot has traveled and displays the information on the tablet controller. This is great for keeping track of where you are when you see something of note with the inspection camera. The distance is measured by keeping track of the pulses from each motor rotation. IMU Option This option allows you to know how inclined the robot is. When you lose sight of the robot you lose orientation of the position of the robot. With this you are going to see the pitch and roll axis and you can prevent flipping the robot over. The video below demonstrates the Kinematic Display feature recorded from the tablet view. 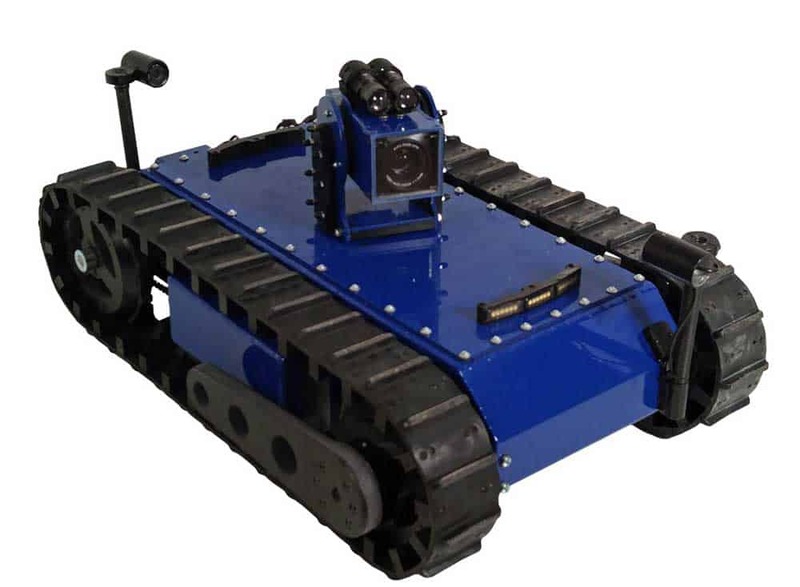 The IMU option is enabled on the robot shown in the video.